Global fried chicken chain KFC wants to put a smile on customers’ faces by getting them to smile into a 3D camera to pay for their meals. The new technology, known as ‘Smile To Pay’, has been rolled out at KFCs in the Chinese city of Hangzhou. The new technology allows customers to process their payment simply by smiling after placing their order at one of the fast food restaurant’s self-serve screens. A camera then scans the customer’s face to verify their identity. Customers can also add an additional PIN or their phone number for added security. 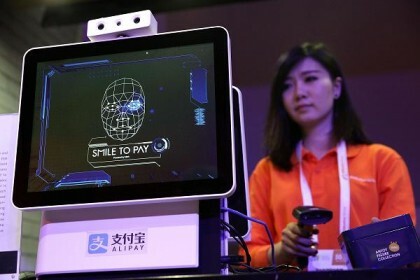 However, to smile for your Zinger, customers need to be registered to the Alipay app – the mobile and online payment platform established by Alibaba founder Jack Ma. KFC has said the new tech is designed to attract younger customers to the chicken chain. Joey Wat, Yum China’s (owners of the KFC brand) president, told news site Reuters that the store was aimed at “young, tech-savvy consumers who are keen to embrace new tastes and innovations”.